April is poetry month! At the Ravenna location, we are lucky enough to have a few really dedicated poetry aficionados who make it a habit to keep informed about all things going on the poetry world. This year, one of those aficionados, Sinead, has put together a few recommendations. Consider it your very own guide to poetry month. AND a reminder, all poetry is 20% off through the month of April, at both locations! 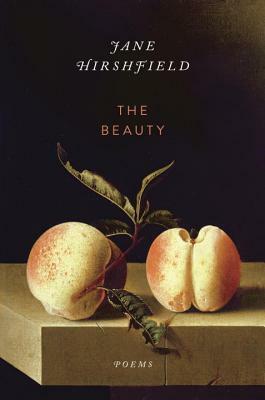 Hirshfield's latest collection (her first since being elected Chancellor of the Acadmey of American Poets in 2012), The Beauty ruminates on the place the body holds in the natural world. Beginning with poems like "My Skeleton," "My Proteins," "My Eyes," the collection goes on to explore mortality, memory, and time, intermingling observations about aging with the poet's own theories on beauty and our moral and societal imperative to remain wholly and entirely ourselves. Hirshfield's work is always a revelation, and this new book only adds to its collective beauty. Buy a copy if you haven't. Buy several. Perhaps the most important book of poetry to appear in translation this year. 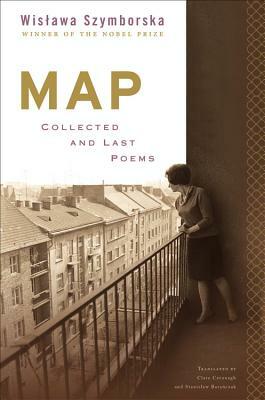 Map brings together almost every poem ever published by Nobel Prize Winner Wislawa Szymborska. Her characteristic wit and candor reminds me of a more elevated Billy Collins, while her interest in rhythm and musicality will makes me wish I could read her in the original Polish. A translator in her own right, Szymborska spent much of her life writing and editing for prominent literary magazines in Poland, and was politically active from the first days of her career. Her death in 2012 was a deep loss for her nation-- and for literature in general. I like to think of her new book as a collection as well as a celebration, and I hope you'll love it as much as I do. I realize now, having come to the end of the post, that I've only written about books by women, and that if you were to just read this, you would walk away with the impression that there isn't any new or exciting work out there by male poets. Not so! There are some great books coming out by some big names, including The Lunatic by Charles Simic, How to Be Drawn by Terrance Hayes, and Deep Lane by Mark Doty, not to mention the new John Ashbery, Breezeway, coming May 12th from Ecco Press. A long wait, I know, but you should have plenty of things to read until then. Enjoy! BBC America is making Jonathan Strange and Mr. Norrell into a mini series!!!!!!!!!!!!!!!!!!!!!! Are you okay? Do you need a paper bag? Here, you can use mine. I've finally got my breathing under control. I'm talking as-big-as-the-book-huge. JS&MN (I just abbreviated it for you...trademark) is one of my ALL TIME FAVORITE BOOKS. 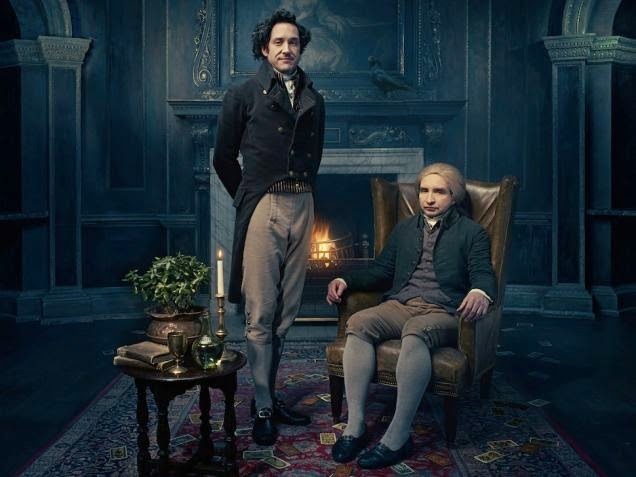 I will admit to having a huge crush on Jonathan Strange and I'm not even a little embarrassed by that. I know a lot of people dread when their favorite books are made into movies. But ever since the Harry Potter era, I have reached a certain inner calmness with movies based on favorite books. It's easy for me to separate each version as it's own piece of art/entertainment. I never compare them and so one does not diminish the other. And anyway, it's BBC. They make Sherlock. Enough said. Here's more info on the miniseries. Now, does anyone get BBC America and want to invite me over to watch it?